GAZA CITY,11 JULY-2014(AP): Zionist Israel continued to intensify its bombardment of the Gaza Strip Friday in an offensive against the Hamas group, with more than 1900 targets attacked so far. As the tensions threatened to expand into a possible Israeli ground invasion of Gaza, apparent rocket fire from Lebanon struck near Israel’s northern border, the Israeli military said. 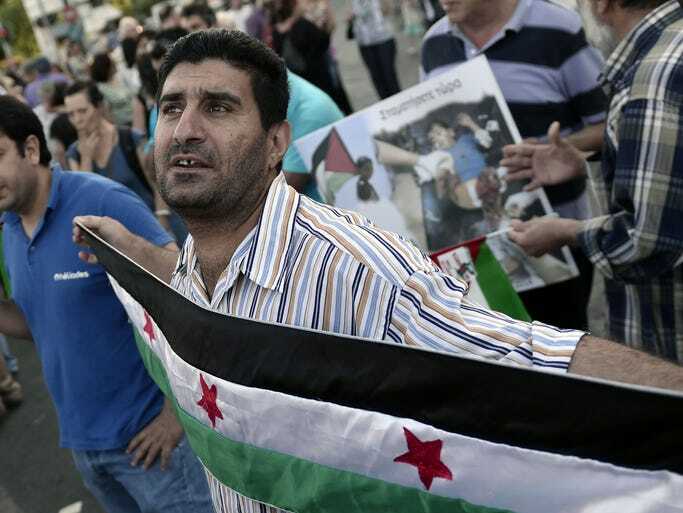 Lebanon’s state-run news agency said two rockets were fired from the country. No one immediately claimed responsibility for the strikes, which prompted Israel to retaliate with artillery fire toward the source of the firing. The number of reported Palestinian deaths from Israeli airstrikes rose Thursday to more than 85 while rockets fired by Hamas struck farther into Israeli territory, targeting Tel Aviv and other cities. Israel said it was doing everything possible to avoid civilian casualties in the crowded urban landscape. The risk of more civilian deaths will remain high, especially if Israel moves in with ground forces. Israel claimed Thursday that Hamas is firing a rocket into Israel at a rate of about one every 10 minutes. Israel’s military arrived at the figure based on its claims that Hamas has fired more than 400 rockets at Israel in less than three days. That assessment comes as Israel dramatically escalated its aerial assault in Gaza for a third day Thursday, hitting hundreds of Hamas targets as its missile defense system, Iron Dome, once again intercepted incoming rockets. Israel has not reported any deaths of its citizens since both sides intensified their aerial campaigns this week. In Washington, President Obama called Israeli Prime Minister Benjamin Netanyahu on Thursday to condemn the rocket attacks on Israel and said the United States is willing to negotiate a cease-fire between Israel and Hamas. “The United States remains prepared to facilitate a cessation of hostilities, including a return to the November 2012 cease-fire agreement,” the White House said about the phone call. Israeli military spokesman Peter Lerner said Thursday that Israel struck more than 300 Hamas targets overnight, focusing on underground tunnel networks and rocket-launching sites. The military said it struck a car in Gaza carrying three Islamic jihad militants involved in firing rockets. 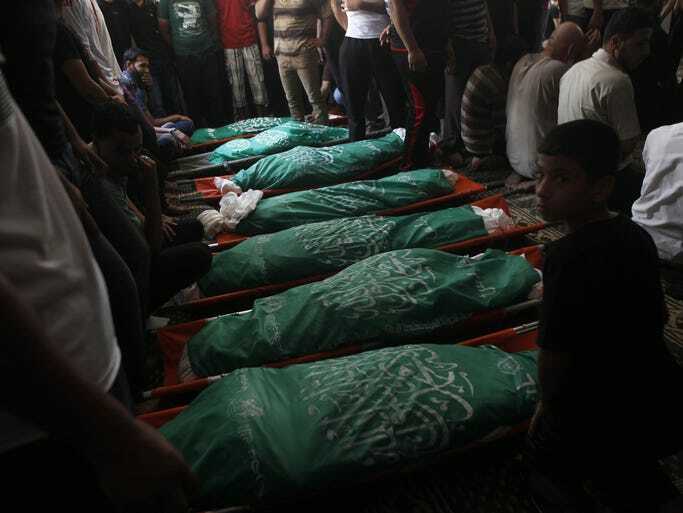 The Health Ministry in Gaza reported 85 deaths, including 22 on Thursday. It said about half were women and children, though the exact breakdown could not immediately be confirmed. Ashraf al-Qidra, spokesman for the ministry, said that in a single incident Thursday an Israeli airstrike killed eight members of a family including five children. Israeli forces also bombed a car marked with “press,” killing one journalist late Wednesday, he said. Momen Faiz, 32, a news photographer, expressed outrage over the strike, saying Israel had violated the Geneva Convention, which forbids targeting journalists. “It’s terrible to target media,” she said. There is no indication that Israel deliberately targeted journalists. A separate BBC report citing unidentified Palestinian sources said that among those killed in Gaza on Wednesday were five men sitting in a beachside cafe watching a World Cup game. Some Gazans described the relentless bombardment and how they felt lucky to have escaped it even when their neighbors didn’t. He said that when they finally ventured outside an ambulance was there. “I’m sad that the owner of the house died. His three children were hurt,” said Aldahdoh. Israel has not reported any deaths of its citizens since both sides intensified their aerial campaigns this week in a tense scenario that has threatened to spill over into a possible Israeli ground invasion of Gaza. But the longer range of the rockets fired from Gaza has disrupted life across southern and central Israel, where people have been forced to remain close to home, and kindergartens and summer camps have closed. Israeli television has been a constant news loop with updates from both sides of the border and even radio music stations were interrupting songs with news of every siren informing of incoming rockets. Besides firing toward Israel’s two largest cities of Tel Aviv and Jerusalem, Hamas also launched a rocket that reached the town of Zichron Yaakov, more than 60 miles north of Gaza. Jerusalem resident Rebecca Hurwitz was preparing dinner Thursday when a siren announcing incoming rockets sounded. “I called the kids to come downstairs, ran out of the front door to go down to the shelter, locked the door, remembered the dinner, went back into the house, turned off the stove and ran down to the shelter,” she said. Hurwitz said that residents of central Israel have 90 seconds to get to a bomb shelter from the launch of a missile in the Gaza Strip. Communities next to the border have up to 15 seconds to seek shelter. Speaking from Beijing on Thursday, Secretary of State John Kerry, who has spoken to Netanyahu and Palestinian President Mahmoud Abbas, said it was a “dangerous moment” for the Mideast. Israel’s offensive has halted daily life in Gaza with locals staying home while many shops, restaurants and places of work have shut their doors. “My company is now shut down because of the warlike conditions,” said Eslam Hasan, 28, of Rafah in southern Gaza, who works for an Internet services firm. “We are now working from home but having problems doing so because of power outages of more than eight hours a day. Nesreen Mossa, 44, of Alshate refugee camp, west of Gaza City, said she saw her neighbor’s house on fire from her window while ambulances removed charred bodies from the home. “I will never forget this image — it will stay with me as long as I live,” she said.